I don’t usually like talking about myself and my family but for the sake of this review, it’s important that I mention my past week. I have always been a huge fan of woodwork DIYs but every time I look up ideas and plans I always feel like there are missing steps. The projects end up costing me way more to make than just buying the item. And that is plain disappointing. However, all that changed when I came across a review about building your own shed. At first, I thought it was impossible. But I watched this shed come to life right before my eyes. It looked so easy and clear. So one night over dinner I suggested it to my spouse and our two sons. I got an unexpected supportive response from all of them. After dinner, we were able to buy and receive the Ryan Shed Plans. The hardest part was agreeing on which shed to build. It took us two family meetings over 3 days to make a decision. So as I write this, half a shed is sitting in our cozy backyard. This is a package created by Ryan Henderson who is a professional craftsman and educator. He was tired of the amateur plans floating on the internet and in magazines so he compiled 12 000 shed plans and woodworking designs into one sweet package. Because most DIY manuals and plans are written by ghostwriters who don’t know anything about carpentry, it is common to find incomplete guides. This package is different. Ryan has spent time and effort ensuring that his expertise is laid out in a way that anyone can follow. After all, he is an educator. You also save because the plans make sure you don’t waste material. The description says 12 000 shed plans in big bold letters. You’ll actually find in semi-small print that it is actually 12 000 shed plans and woodworking projects. Don’t worry though, there are over 100 shed plans to choose from. Once the payment is made and introductions are made you will be able to get to a membership site for downloading plans you want. Because the information is so much, you won’t be able to download everything in one go. You will be able to find shed plans under outdoor plans. The plans are in bundles of 10-20. You will find that the shed blueprints are mostly just that. These are not step-by-step instructional material like you might think. Instead, they are merely design drawings. They include a variety of views, (plan, elevation, perspective), and a description. Sometimes you’ll get a materials list. And while there are admittedly a few that give full instructions, most of them are just shed designs and plans. But because they’re from different sources, some of them are the wrong way round. What’s actually in the package? Ryan condensed his years of woodworking wisdom into this book. It highlights special techniques and even tells you how to make minor adjustments to pieces in order to get them to work for you. It is a worksheet that enables you to make modifications to any shed that you selected. By giving you precise measurements you will be able to customize any of the sheds to your specifications. Find ANY woodworking supplier all over America. See what is available in your area and have it shipped to you. The directory is amazing, listing small places I might have not found online. And the books are interesting. You get the necessary materials for the particular woodwork design. This includes most of the information you will need to make different stuff. What people hate about it. If this isn’t the first review you’re coming across you have probably noticed the mixed feelings people have. Some people hate it and some people love it. There are a few reasons why people loathe this collection. The main reason for the hate is the fact that it is nothing you expect. The promotion of this collection rests on being repeatedly told that it contains 12 000 shed plans. But as I have already told you, there are just about 100 shed plans and the rest is designs for other projects. Secondly, you’re told that it has plenty of instructions. If you’re not experienced or DIY inclined there will be no handholding for most of them. This is a big shock for many people. I do understand the complaints because the material looks nothing like you expect. But here are other minor issues I found with this collection. Ryan states that this is a collection of his work. But some of the plans are actually from universities and other sources. I suppose he has the rights to these. Access RyanShedPlans today by clicking this link and you’ll have everything you need to be building your own shed within days! Maybe this is due to collect from other sources but you will find that some of the diagrams and instructions are not clear. I may have brought this up in passing, but you cannot download everything at once. Instead, you will find a page that has all the plans available. It is a frustrating job going through all of the information to find what interests you. I mentioned that it is all available for download but 12 000 plans are a lot to go through. It gets so overwhelming dealing with all that information. It literally took us nearly thirty minutes just to get the shed plans. There’s a reason some people are raving about this. It is not all bad. This is more like a warning to make sure you don’t buy this with rose-tinted glasses. If you’re into woodwork then this is paradise. You get all these amazing plans for different projects. Not only are they free but they’re extremely useful resources. I’m a newbie when it comes to carpentry but with the extra material, I transform into a seasoned woodworker. If you like adding your own touch to your projects these plans are great for bringing that out. Because you are able to see many plans and modify them you can actually put two ideas into one. If you absolutely hate the plans or realize that you have gone in way over your head, you can relax. This collection comes with a 60 days 100% money back guarantee. Does marketing for this collection take their freedom a little too far? Definitely. Will that be off-putting? To some extent, yes. I mean, no one likes misleading information. It does taint the product and make it hard to give an honest chance to the product. However, I managed to recover quickly from the shock of the material. Like I said it took a while finding a shed to work. But that was mostly because of the issues I mentioned before. But once you get into it, you are able to get the material you need. It’s not confusing nor do you waste materials and time. Assembly is quite easy. My boys actually get a couple of steps done when they get back from school. Not saying it to make anyone feel bad but that’s how easy it is to make. We have gotten a lot done in the little time we are randomly assigning to this project. In retrospect, we should have probably started with one of the smaller projects. The main issue I can see is that the value of this collection is actually all the free bonuses. If you’re new to woodworking DIY projects you can rest heavily on the bonus material and they will not let you down. If you for one reason or another cannot get into this, you will be able to get all your investment back. That means your money won’t go down the drain. Many people who were disappointed by the plans have managed to get their full refund. I’m not sure what happens to all the material you had already downloaded. But remember this collection will save you hundreds and maybe even thousands. The information is already ridiculously discounted. But to top it all up, you actually save on hiring a contractor. This is not a scam. I suggest you give it a personal try. You can’t knock it until you try it. 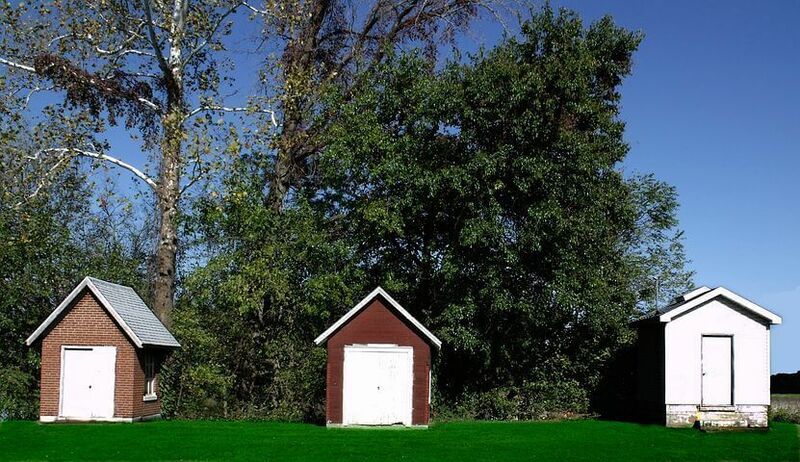 Even if you don’t want to make a shed, you can try the other projects. They make great pieces to add to your house. Or you can make presents to make it a truly personalized gift. It has been going great for us. Just give it a shot and have your own untainted opinion. But lucky for you, I actually in gave you a clear unbiased heads up on what to expect! Summary: Get access to 12 000 woodworking plans and four free bonus material to get you on your way to your easy DIYs. at and do it! You're composing taste has been amazed me. Very awesome article. Exactly what I need, me and my husband is brainstorming for things and designs on what we can do to have our own space without spending too much. We wouldn’t want the house renovate so we can have those spaces, now this is an excellent idea which we can do. Thanks for the help and be getting this soonest.